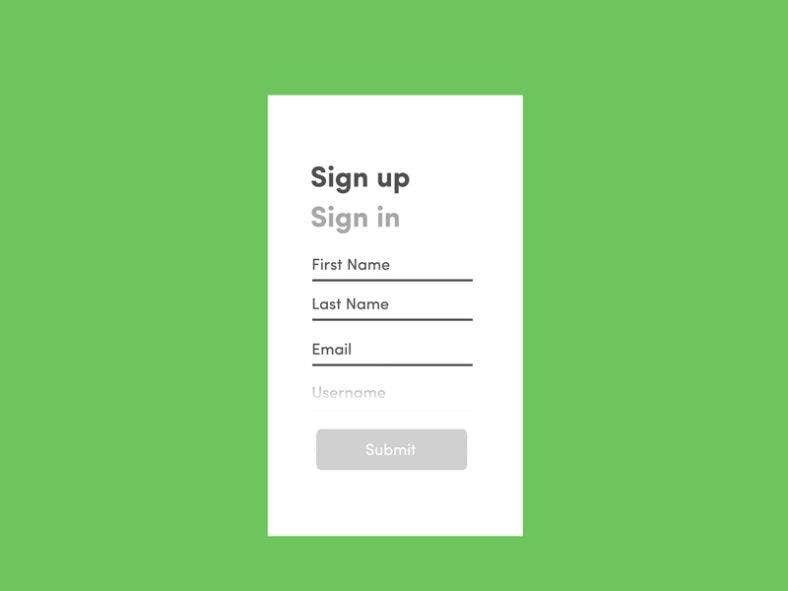 Web forms are essential for any web design or mobile application, whether it’s a simple log-in form or a check-out form in e-commerce websites. And nowadays, designing unique mobile forms has been rendering designers in a stitch as the competition in the market is getting fierce. As we all know, online forms should follow strict standards and practices in order to provide the best user experience. 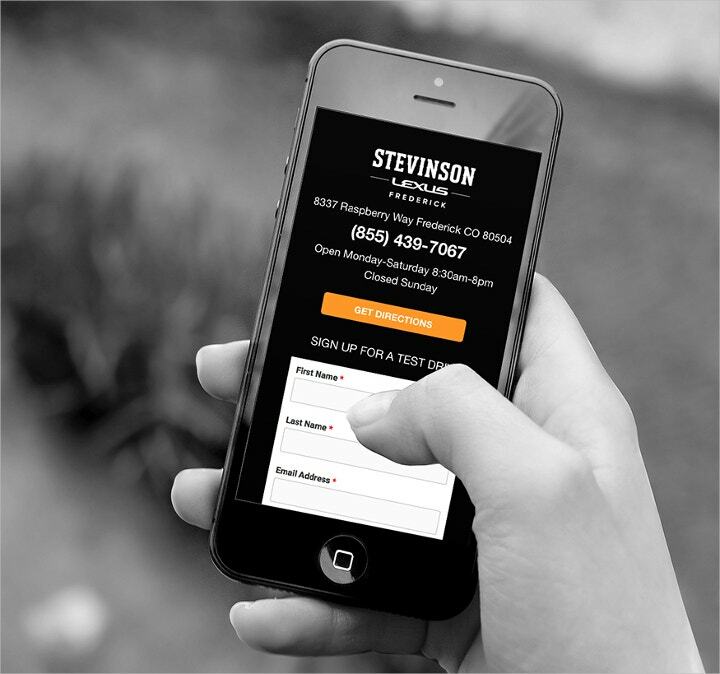 So, how do make your mobile and web forms stand out? 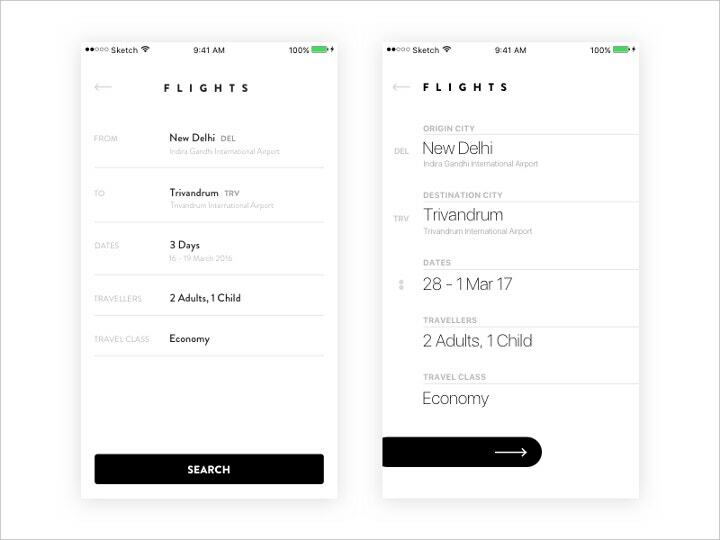 Here are some mobile UI forms designs that you can find inspiration from or use for your mobile apps. 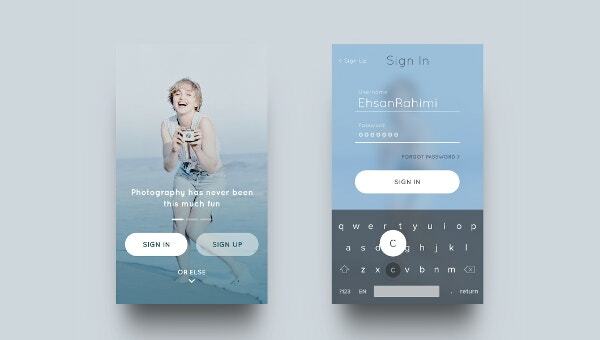 Here is a collection of UI designs made as parts of the 100 Days of UI Design Challenge. It consists of different UI pages you can find online or on mobile. But most especially, it also consists of different UI forms you can use in your mobile applications. Some of these are sign-up forms, credit card checkouts, subscription forms, and other landing pages. 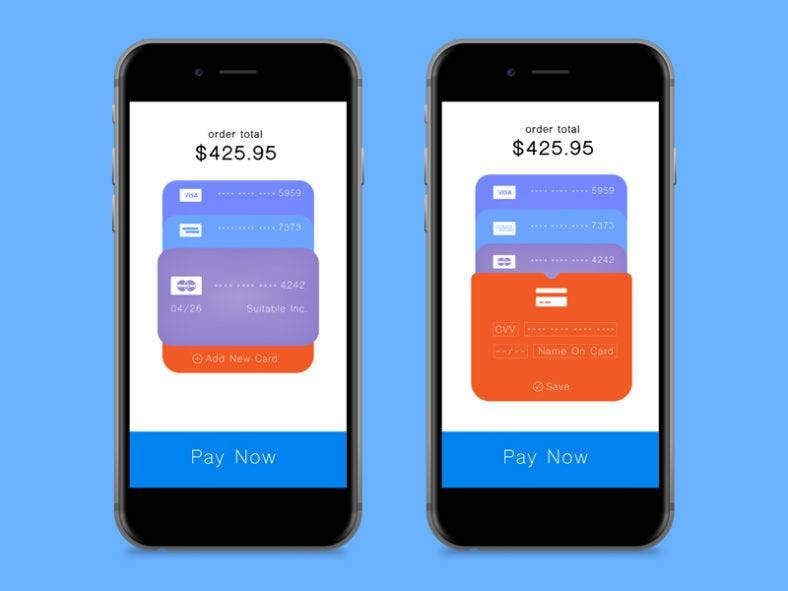 This is a UI design for a credit card form that is usually used in online stores and other e-commerce websites. With a clean layout and use of bold colors, it offers a simple yet interesting way to ask users for different credit card information. Also, it looks reliable so users won’t hesitate to provide their sensitive information into your app. This UI design features different forms in one design template that features exciting flat illustrations and a pastel color palette. With its unique design details and a sliding feature to turn to the next page, this design will definitely attract your user’s interest. It can be used for online shops or personal websites such as blogs and journals. Featuring bold elements and large fonts, this bare UI design is perfect for mobile apps with straightforward designs without the fuss and drama. It has a scrolling effect that lets you see and fill the rest of the form before hitting the very visible submit button. Also, it changes the color of the underscore once it’s filled so you won’t miss any field. Payable is a group of activity forms that users, such as freelancers, use to track their work. Characterized by a bright jolt of color, this UI design provides easy-to-detect transitions as each color is assigned to a different work tool like a calendar design. With a CSS-driven layout, it also easy for designers to customize and personalize this design. 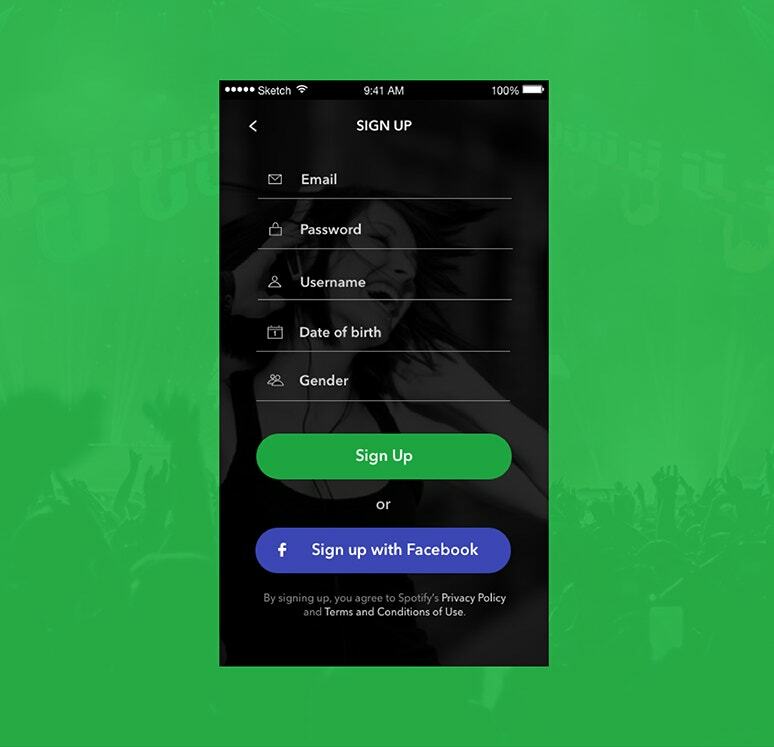 This UI design is made for social lead programs that generate sales such as a sign-up test drive form from an automobile website’s mobile app. It features white colored fonts and a bright orange-colored button over a black background which is also perfect for restaurant reservations, appointment bookings, or newsletter subscriptions. With a clean white background, bold fonts, and interesting cartoon images, this UI design is perfect social media sharing and networking mobile apps. This simple design is characterized by gradients of the blue color family which makes this design fun and professional at the same time. It can also be used for travel apps like in the example. Another minimalist UI design, but this time with a cleaner aesthetic with the use of gray fonts over a white background. Furthermore, it features a black search and next button that is in full contrast with the overall theme, thus, making it stand out and hard to miss. From the example, it is used for booking apps but it can also be great for mobile corporate websites. 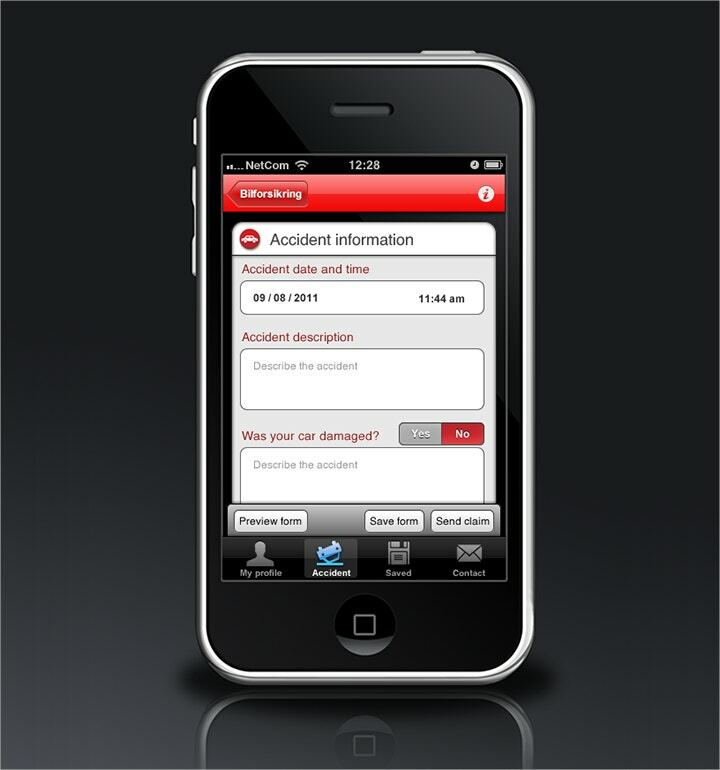 This UI design features clearly visible texts in red fonts and exclusive boxes for inputs that are perfect for accident and insurance mobile applications, as portrayed in the example. It’s red colored questions shows urgency and importance, therefore, should be hard to miss and should be filled out. It also has a Yes or No toggle button for close-ended questions. 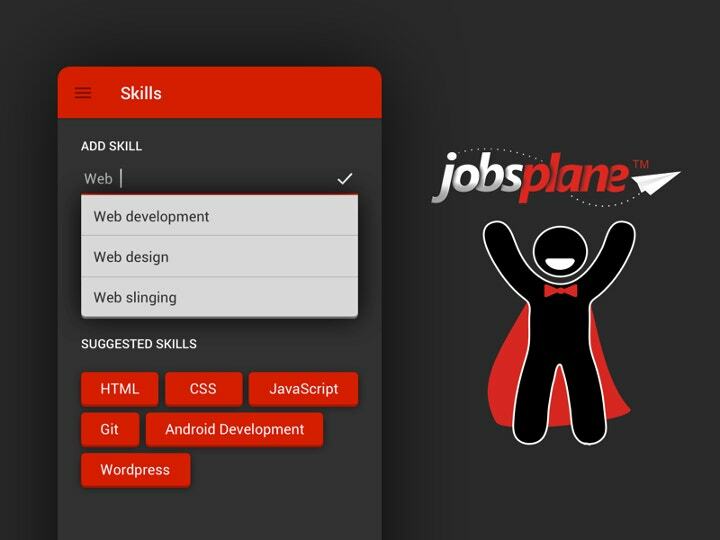 A dark but elegant theme, Jobsplane is made with a red and gray color combination inspired from the website version of the app. Nevertheless, it can also be used for other job application apps and other mobile applications like music apps or games. It also uses the Material Design guidelines so its adherence to the best design practices is guaranteed. 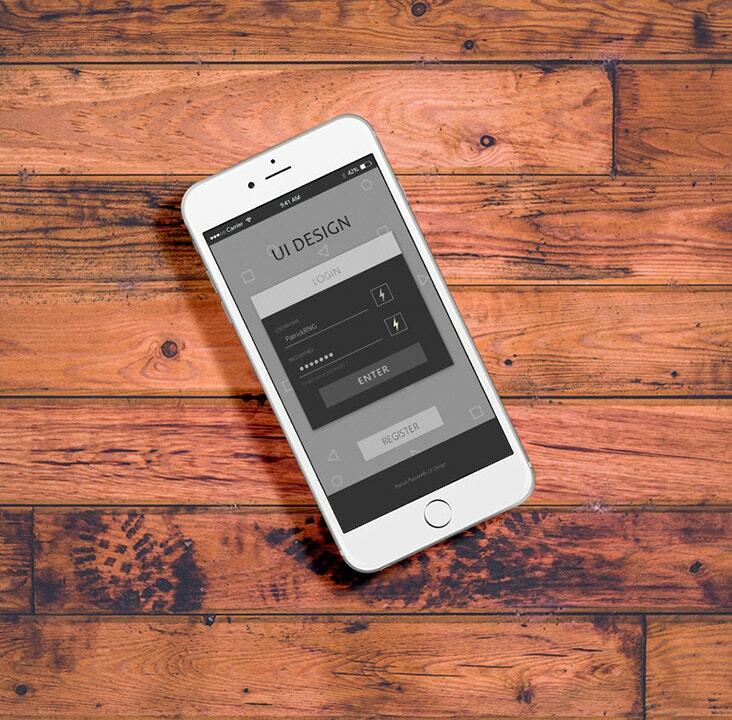 With a dark monochromatic flat UI design, this login form is perfect for minimalist and edgy mobile applications. Using simple fonts and a background with geometric shapes, it makes your mobile app modern looking as well as elegant and quite sophisticated. It can also be used for photo sharing and simple gaming apps. The beautiful sign-up form above is characterized by pretty script fonts and a pink color palette. Aside for a username and password, it also requires an email and a phone number that would make the security factor of your app better. This pink UI design is great for girly mobile apps such as fashion games, daily journal apps or DIY tutorials. 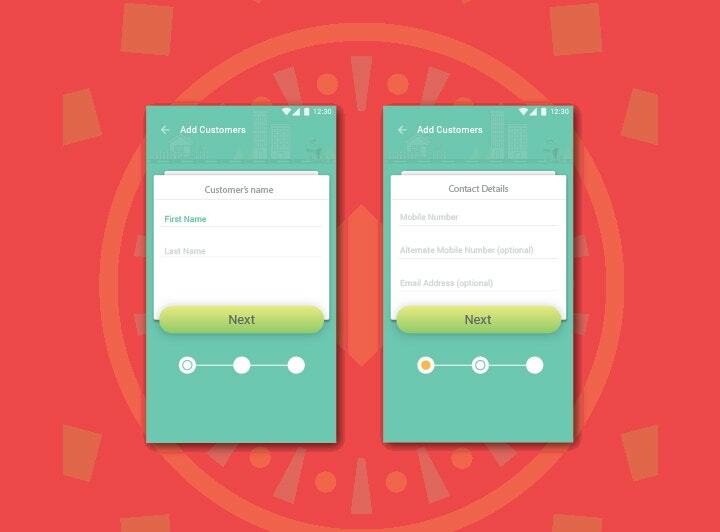 With these beautifully designed forms, it is likely that your users will trust to give their personal and sensitive information with your app rather than the ones with a less impressive design. 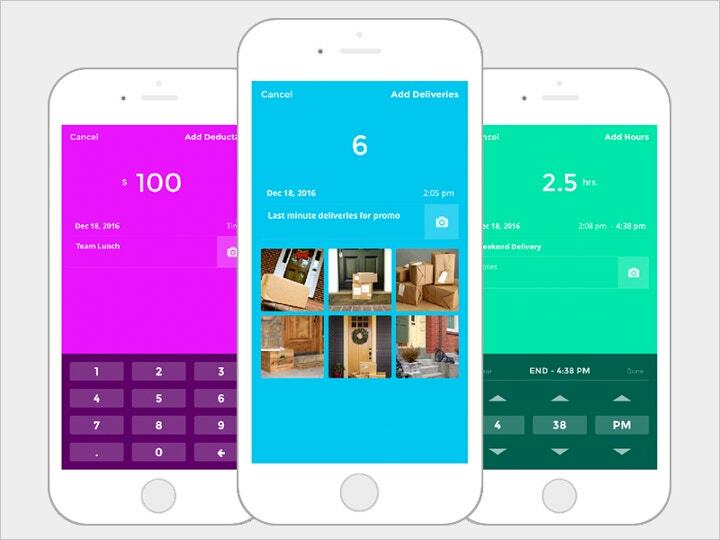 Therefore, you have to make sure to choose the graphic UI design element that correlates well with the type of mobile application you’re building and requires just the necessary information that will enhance the user’s experience.